While you may believe successful people don’t have difficult situations this show is here to set you straight. Because we all have stumbled, lost our way, or only saw closed doors. 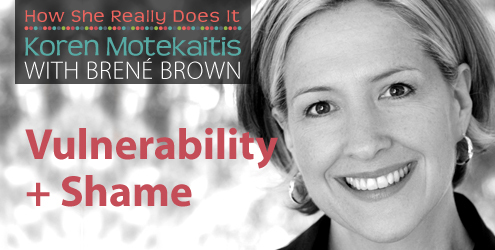 In this podcast you will find out that this stumbling, falling down and getting your but kicked is actually the true pathway to success when you are willing to be vulnerable and rise back up in your life. Instead of accepting your life “as good as it gets” you can find out here how others have created great lives so you can too. A shout out of thanks to Brené Brown for doing her work and making a big difference in the world!